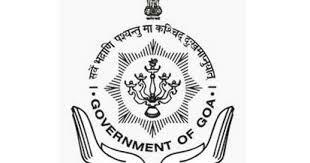 Panaji: November 21, 2018 … The Directorate of Social Welfare, Panaji has invited applications in the prescribed application form from Employers, NGOs and Persons with Disabilities for the following categories State Awards. Best Employes (One), Best NGO (One) and Best Employees with Disabilities (three). One award in each of the category of Disabilities such as Visual Disabled, Speech and Hearing Impaired, Physical Disabled will be given for the best employee with Disabilities. Each award consists of cash amount of Rs.25,000, Citation Certificate Shrifal (Coconut) and Shawl. Prescribed application forms are available at the counter of Directorate of Social Welfare, Panaji and District Welfare office, Directorate of Social Welfare, M.S.A. Complex, Margao Salcete, free of cost. Application in prescribed format dully filled in all respect and accompanied with Xerox copies of the documents attested by Gazetted Officer should reach Directorate of Social Welfare on or before December 5, 2018. State awards will be presented on December 19, 2018 by the hands of Chief Minister on the occasion of Goa Liberation Day.